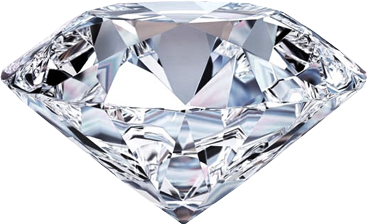 The crown of a diamond, as may be inferred from the name itself, refers to the upper part of the diamond. It comprises of all the facets, including the table of the diamond that act as windows where light passes through to the interior of the diamond. The crown facet also acts to disperse light throughout the diamond, giving off the fire and brilliance that diamonds are known for. Apart from that, the crown facet bends the light that comes into the diamond in a way different from the table: giving a shifted version of what would be visible through the table. This is what shapes the arrow heads that are visible when one looks through the crown, creating more virtual facets and forming the structured contrast pattern that increases a diamond’s brilliance and sparkle. Technically, the girdle of a diamond is part of the crown: the widest part of the diamond that forms a band and the dividing line between the crown and the pavilion, where the shape begin to taper towards the tiny facet that is often made to protect the tip of the stone.